The great thing about spring creeks is that they maintain relatively consistent temperatures throughout the year. We are lucky to have creeks like the Falling Spring, Big Spring and the Yellow Breeches in the Cumberland Valley. Tactics change from creek to creek and the time of day. The “Spring” is divided into 2 sections – Delayed Harvest (town side) and the Heritage section (upstream from route 30 to where it starts). The Tricos hatch has been very good on the Heritage side especially around Quarry Road in the morning but the fish are extremely wary. 7X tippet with size #26 or #28 flies are a must. 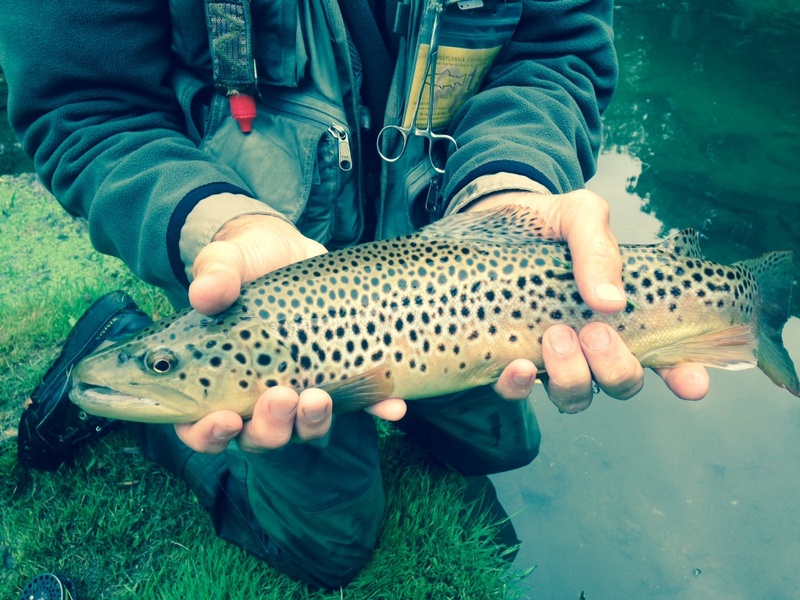 The Delayed Harvest section has been good in spots in the afternoon fishing with small caddis, midges and ants. In both sections, you can catch quality fish. We have not found many rising fish due to limited hatches, so our tactic has been to fish Big Spring like a wild brookie stream, casting caddis into the runs. Most of our catches have been small rainbows but there are some huge fish to be had. I look at the Breeches as 2 sections like the Falling Spring – the regulation area near Allenberry Playhouse and the upper section near Huntsdale fish hatchery. Most of the fish in the regulation area are stocked. 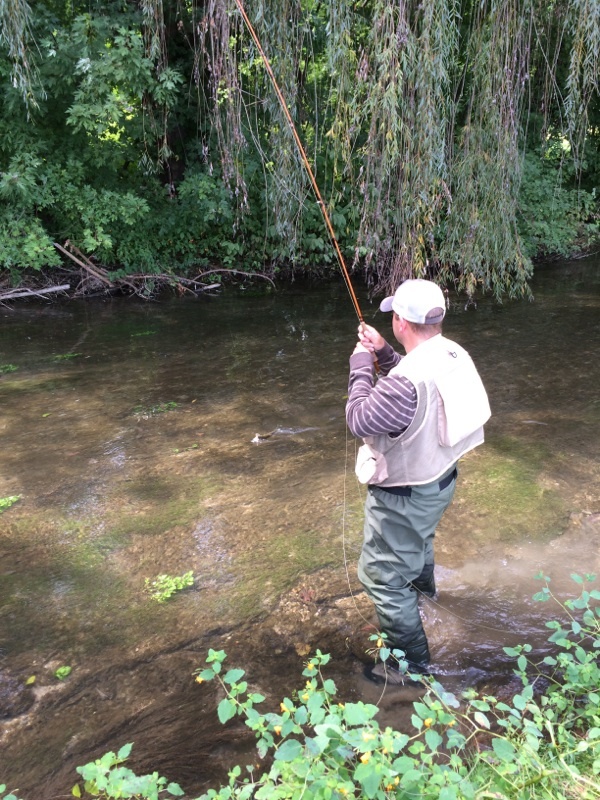 The upper section is loaded with wild browns and 20 fish days are not out of the question. Our tactic on the upper section is to fish caddis and attractor flies in the runs and ants in the quieter pools. 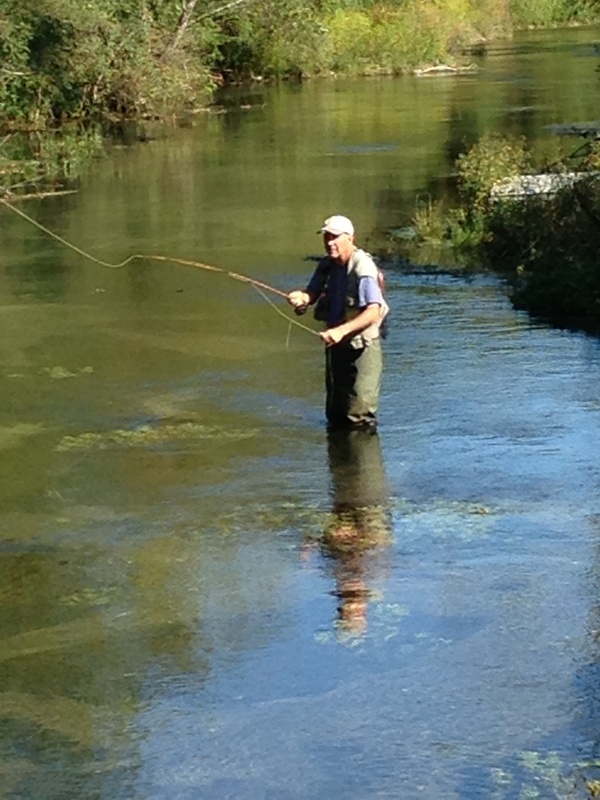 Fall should continue to good fishing on all of the Spring Creeks. As my buddy Tim Brookens says, “you got to go to know”.